E Regensburg & Sons Co.
​The origin of E. Regensburg & Sons Co. began in Frankfurt, Germany where Edward Regensburg (1846-1907) learned about the cigar industry in America and moved here with his family in 1876. In 1877 he established E. Regensburg & Sons Co. and began making The American hand-rolled cigar brand in New York City. In 1928, E. Regensburg & Sons Co., which kept its headquarters in New York City, introduced The Happy Brand nickel cigars. E. Regensburg & Sons Co. first location in Ybor City was at the A. 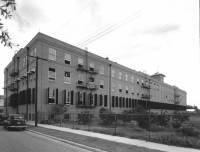 B. Ballard Cigar Factory building at 2007 21st Street which was later occupied in May 1920 by Hav-A-Tampa. In 1911 when their factory in New York City proved to be too small, E. Regensburg & Sons Co. was lured to move to this new 96,790 square foot building designed by New York architect, S. S. Schwartz. It had enough seats for over 1,000 cigar rollers but its most famous feature was the four sided clock that has been nicknamed “El Reloj”, designed by the famous Boston clock company E. Howard Company . 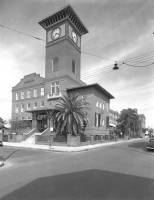 The clock became a landmark and an important part of Ybor City life. People kept their time by it, used it to wake up in the morning for work and in the evening to go home and children used it to get ready for school. Over the years, three of the four clock faces broke and the clock’s mechanism ceased to function. In 1917 E. Regensburg & Co. absorbed the S. Fernandez Co. and in 1919 opened a branch factory in West Tampa at the corner of Abdella & Gomez which had been occupied by the Alvarez-Mendez branch of the Preferred Havana Tobacco Co. 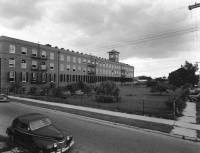 In May 1920 E. Regensburg & Sons Co. moved the West Tampa branch factory to the old Y. Pendas & Alvarez factory building. 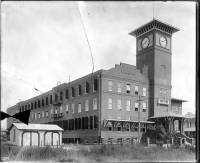 E. Regensburg & Sons Co. continued to operate both cigar factories until 1933 when after a cigar strike they closed down the West Tampa branch factory. 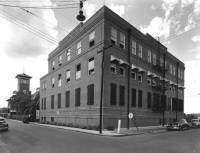 In 1951 E. Regensburg & Sons Co. closed its doors in Tampa where it employed 280 cigar workers and 12 office staff and moved operations to Allentown, PA citing growing shipping costs to the Northeast and labor unions in Ybor City as the main reasons for the move. Julius Ceasar Newman (1875-1958) first ventured into the tobacco industry in 1895 when he founded M&N Cigar Co. at 125 Bank St. in Cleveland, OH. In 1953, Newman was in Tampa when he saw the abandoned factory. He requested his son Stanford take a look at the factory because he wanted to buy it. In July of 1953, Standard Cigar Co. of Tampa, a subsidiary of M&N Cigar Manufacturers of Cleveland, OH started operations with Stanford Newman at the helm. They rented a single floor of the factory and brought machines from their Cleveland factory as part of a one year experiment. In January of 1954, M&N Cigar Manufacturers decided to close its Cleveland, OH operation and move all its operations to Tampa. The J.C. Newman Cigar Company is therefore the oldest family owned cigar maker in the United States and operates the last remaining production cigar factory in Ybor City. Today, the J.C. Newman Cigar Company machine manufactures the Rigoletto brand in Tampa. In the Dominican Republic, they partnered with the Fuente family to hand-roll the J.C. Newman brands of Cuesta Rey, Diamond Crown and La Unica. In Honduras and Nicaragua they have partners for the Honduran brand Don José and the Nicaraguan brands Alcázar, El Batón and Brick House. The Newman’s are also the exclusive distributor for the famous Arturo Fuente, Montesino and Fuente OpusX cigar brands in the United States. In 2002, J. C. Newman Cigar Co. built a small museum with photos and the remaining original clock face. The rusted inner clock mechanisms were restored and installed in the first floor museum and reattached to the 1,500-pound bell in the tower. The clock now functions and chimes for Ybor City once more which fact I can attest to as it chimed while I was taking the pictures.